All pictures and images* on this site are copyright©Peter Wagon Fine Arts. Any unauthorised copying, storage or transmission of these images will be considered an infringement of this copyright and will be rigorously pursued. As mentioned on the site towards the end of his life Peter Wagon suffered from Alzheimers and to support the work they are doing, £5 from the sale of every print will be sent to the Alzheimers Research UK. More details of the donation to Alzheimers Research UK. 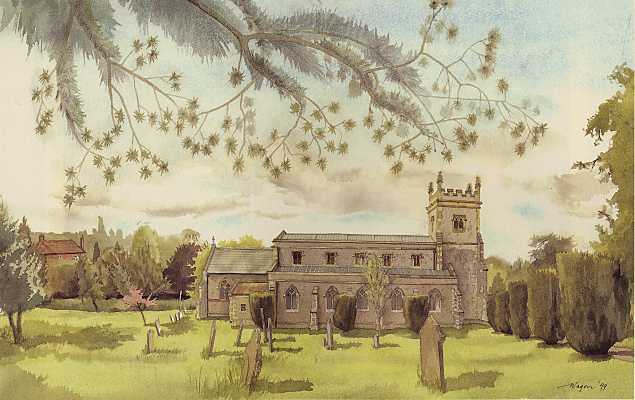 Grovehill Chronicle, written by Ruth Clinch, contains several of Peter's drawings. Time's Highway written by Elizabeth Buteux and published by The Dacorum Heritage Trust in 1998 includes copies of some 26 drawings by Peter of Hemel Hemsptead Old Town. 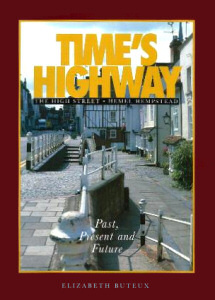 Times Highway can be purchased from Dacorum Heritage Trust and is a valuable addition to any collection of books about Hemel Hemsptead and its history. Copy of Time's Highway cover reproduced by permission of the author, Elizabeth Buteux. Click here to open a floating Shopper's Currency Converter window.